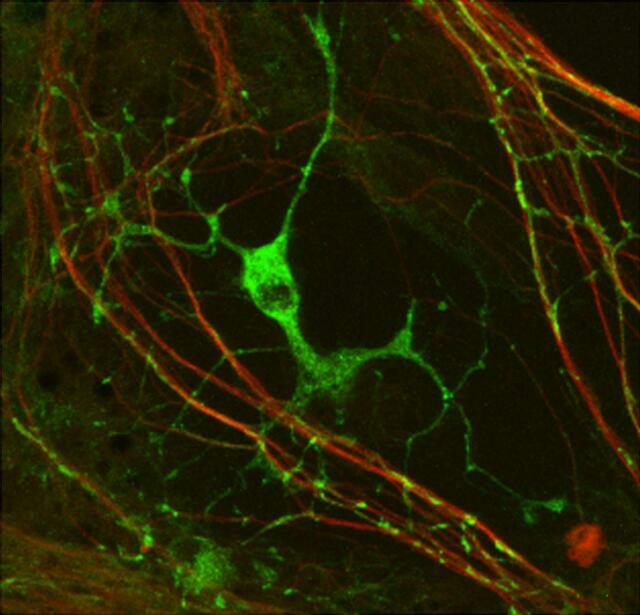 Myelination: oligodendrocyte engaging with neurites. A co-culture of oligodendrocytes and neurons, in which neurofascin is labelled in green and neuron-specific tubulin in red. An oligodendrocyte is shown extending processes to neurites. Where it engages it will start to ensheath them.